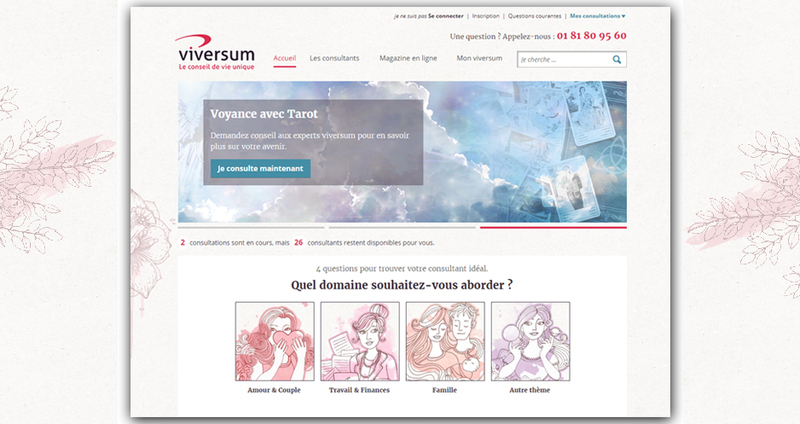 Viversum France, a subsidiary brand of Stream Live, has been a growing business covering France and French-speaking territories since 2010 which has now strengthened its position as of the largest psychic service providers in France. Our Readers are meticulously selected to meet the quality required to be part of the Viversum network with our primary goal to deliver the best service for our customers. With dedicated Customer Service and Reader Management teams, we constantly strive to enrich our customer’s life experiences.